Here is a freebie that I use with my ELL students to practice identifying words that have a numerical value. Write numerical value of words. 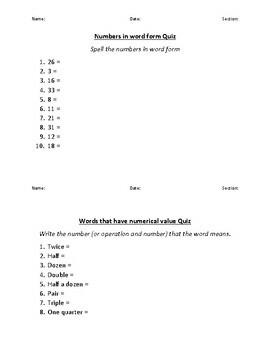 I have a Words with Numerical Value Bundle with more content, including a word problem quiz.Check out my store.